﻿ Meesuk Residence, Chiang Rai | FROM $11 - SAVE ON AGODA! "Pros: clean, quiet, comfortable, friendly staff." Have a question for Meesuk Residence? 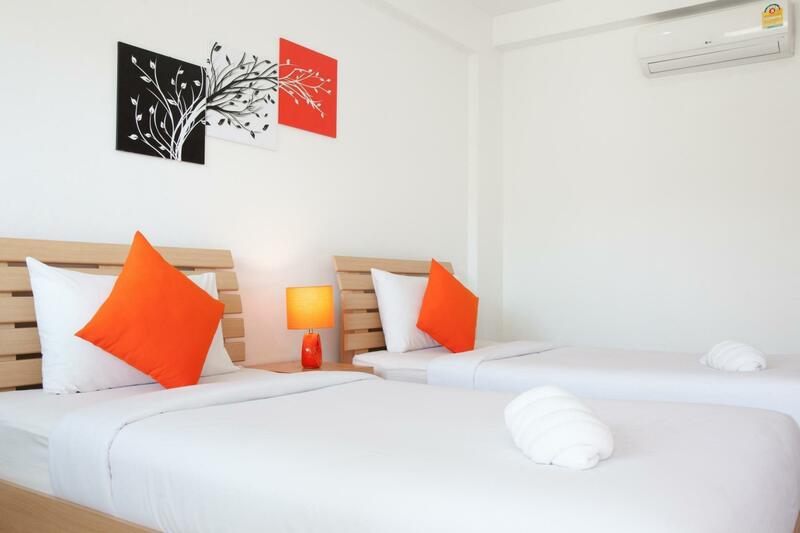 "Very clean and helpful staffs"
"It is very clean and modern hotel, everythink is new." "Beautiful place, nice staff and very clean rooms." When visiting Chiang Rai, you'll feel right at home at Meesuk Residence, which offers quality accommodation and great service. Only 6.3 km away, this 3-star hotel can be easily accessed from the airport. With its convenient location, the hotel offers easy access to the city's must-see destinations. Offering hotel guests superior services and a broad range of amenities, Meesuk Residence is committed to ensuring that your stay is as comfortable as possible. Guests of the hotel can enjoy on-site features like free Wi-Fi in all rooms, 24-hour security, daily housekeeping, grocery deliveries, laundromat. Experience high quality room facilities during your stay here. Some rooms include television LCD/plasma screen, internet access – wireless, internet access – wireless (complimentary), non smoking rooms, air conditioning, provided to help guests recharge after a long day. Besides, the hotel's host of recreational offerings ensures you have plenty to do during your stay. Superb facilities and an excellent location make the Meesuk Residence the perfect base from which to enjoy your stay in Chiang Rai. "Good location nearly Kok River, several food." To the Chiang Rai city center, it’s a bit far to walk. (if walk 30-40min). It’s better you rent a car or motorbike. Hotel offer a good quality rental motorbike. Room very clean. Make up room everyday. Good hot shower. This place is perfect if u have own transport . Our arrive was smooth, but the stuff do not speak English very well, but for our needs it was enough. Rooms are clean, big parking place, well marked route - no problem with navigating, friendly stuff, clean bathroom. We would stay there again if we were in Chiang Rai. Very clean. A little outside of town, which is not bad if you have a motorbike. They were able to help us get a motorbike no problem. The staff didn't speak much English, but we got bye. A little expensive for our backpacker budget, but it was nice and clean with hot water. Wifi was pretty spotty at times as well. They provided towels and bottled water each day, which was nice. It is very clean and modern hotel, everythink is new. In calm part of the city. There is beatiful walk through houses with gardens and few restaurants. We wanted to see White temple which is about 30 min by taxi from the hotel. The hotel room is quite nice. Very clean bed sheet. Free shower gel and shampoo as a complementary. The mini bar isn't filled up. But you can ask for it. Nice staff. I was travelling there alone with no plan and staff was organising one day trip for me. It's awesome. The location is a bit far from city (45 mins walk) and some taxis may not know this hotel. At least 25mins walk to nearby restaurant. Wifi is working great. Rooms are clean and bright. Hotel has ample parking space for people who are on a road trip holiday. Staff, especially Ms Toon was very helpful and friendly. Location to night market is about 10 minutes drive away. It was a very clean, very well kept hotel! Room service everyday. With bottled water! Great value for money. Just a short tuk tuk or uber ride into the town centre. Pros: clean, quiet, comfortable, friendly staff. Motorbike rental. Cons: 10 min drive to city center. Not close to much. One or two restaurants within walking distance. in-town location, pleanty parking space, new and clean room, comfort bed ... it's definitely value of money. thumbs up!!! New hotel, room ok, staff friendly, but not good in English, not in town centre, you can rent motorbike from hotel, anyway, worth for money. Very clean rooms and good for a night sleep. Great hotel. Everything is okay. I like this place. Good location nearly Kok River, several food.